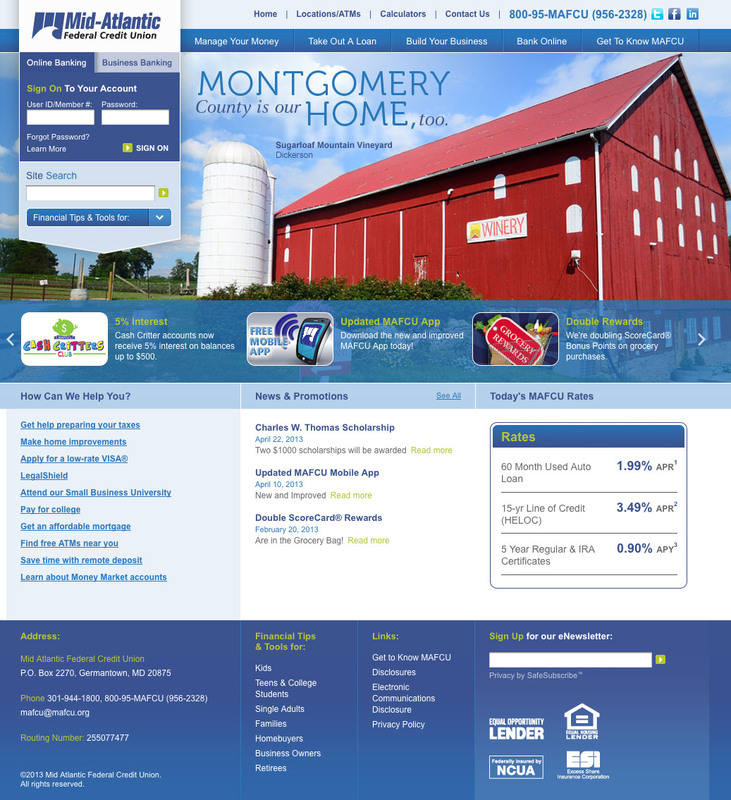 Front-end development (XHTML, CSS, jQuery), CMS integration, Intuit online banking login, and LocatorSearch integration. Included Silvercloud FAQ system (and later replaced with Google Site Search.) Added Small Business University microsite after launch. Information architecture.